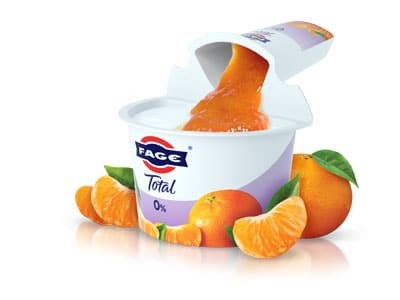 FAGE Total 0% Split Pots comprise our all-natural Greek recipe strained yoghurt paired with a delicious side serving of fruit compote or honey. 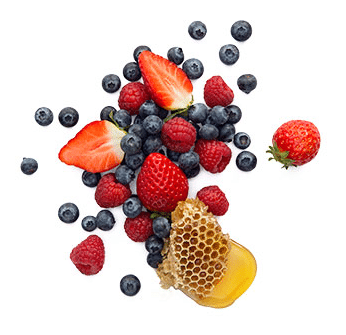 Enjoy your favourite flavours or try something new. Simply spoon in as much topping as you fancy for the perfectly balanced mouthful. 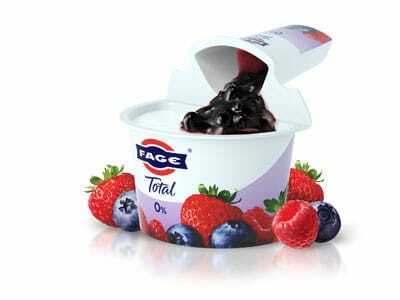 FAGE Total 0% Split Pots are a treat you can enjoy every day, any occasion. Grab a spoon and try one today! 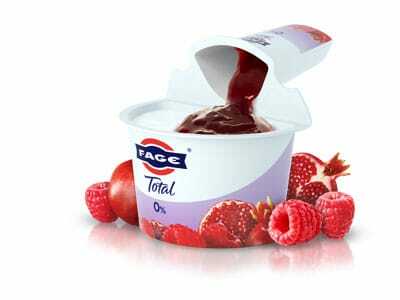 Combining delicious fat-free FAGE Total strained yoghurt and a sweet fruit compote. Strained yoghurt (80%) [pasteurised skimmed cow’s milk, live active yoghurt cultures (L. Bulgaricus, S.Thermophilus, L. Acidophilus, Bifidus, L. Casei)], orange and mandarin fruit preparation (20%) (sugar, orange cells and mandarinjuice 40%, corn starch, lemonjuice concentrate, natural flavors). 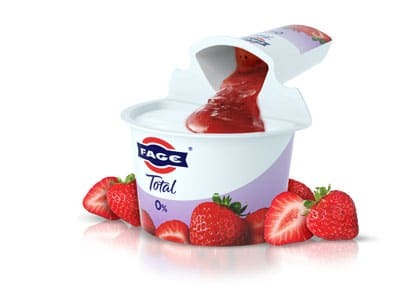 Strained yoghurt (80%) [pasteurised skimmed cow’s milk, live active yoghurt cultures (L. Bulgaricus, S. Thermophilus, L. Acidophilus, Bifidus, L. Casei)],strawberry fruit preparation (20%) [sugar, strawberries (40%), corn starch, natural flavour]. 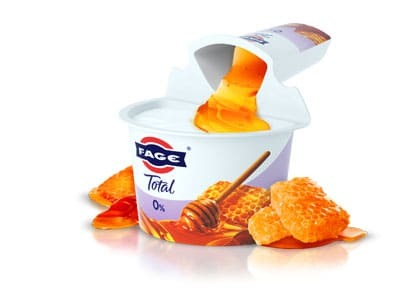 Combining delicious fat-free FAGE Total strained yoghurt and sweet honey. Strained yoghurt (80%) (skimmed cow’s milk, live active yoghurt cultures), honey (20%) (blend of EU and non-EU honey). 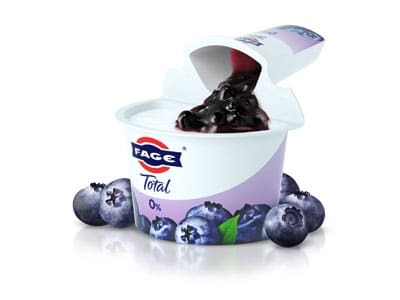 Strained yoghurt 80% (skimmed cow’s milk, live active yoghurt cultures), blueberry fruit preparation 20% (blueberries 40%, sugar, corn starch, lemon juice concentrate, natural flavour). Strained yoghurt (80%) [pasteurised skimmed cow’s milk, live active yoghurt cultures (L. Bulgaricus, S. Thermophilus, L. Acidophilus, Bifidus, L. Casei)], raspberry – pomegranate fruit preparation (20%) [sugar, raspberries and raspberry juice concentrate (25%), pomegranate juice concentrate (15%), com starch, natural flavours, lemon juice concentrate].